Turn your smartphone or tablet into a real flashlight with manydifferent designs and colors. 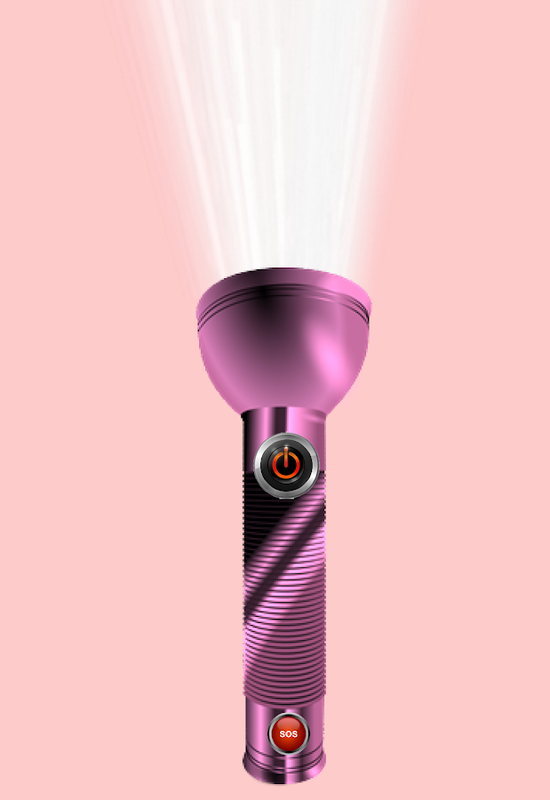 The Mega Flashlight is very brightand quick with you no longer stand in the dark. Various buttondesigns, lights, background colors and colored flashlights you canchoose. 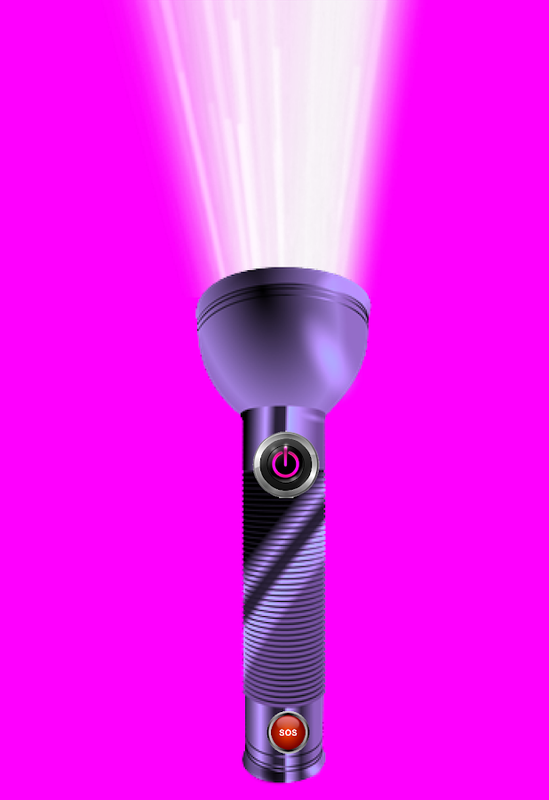 Light on the Mega Flashlight in your own design or flashingby holding down the SOS button.- sound on and vibrate the buttonselectable- light is on when app starts function - SOS flashingbutton- many background colors, torches, buttons and lightsselectableMega Flashlight Tool transforms your device into a verybright and fast flashlight! The LED laser pointer is simulated in your display and your LEDflashlight will turn on or flashes, if you like. You can selectdozens colored laser pointers, laser rays, buttons, turn signalbuttons, backgrounds and you can add or remove many additional LEDsettings. If you shake your device, then Laser and LED turns on andoff, which you can disable. You can use the laser pointer as awidget by activating the start light function, then you just needto click on App Icon and instantly your LED light and laser pointeris very fast on. Matching on and off sounds and laser sound, youcan select or deselect. Design your own colored laser pointer andadjust the flashlight settings according to your needs. Easy to useand a nice laser pointer flashlight for your smartphone and tablet.The colored laser pointer is simulated only the display, not inyour LED camera light. Instead, your LED has very bright light anda flashing lights modus against darkness. Laser fight with double laser sword like a real Jedi knight of thegalactic wars and LED Flashlight against the darkness of theGalaxy! Your display will simulate a double laser sword and yourLED will light up when you click on the buttons or shake yourphone. Matching laser sword sounds are played and double lasersword simulations are simulated like a true Jedi fighter. Customizeyour double laser sword according to your favorite colors, designsand light settings if you click on the gear button. Many colors ofthe laser beam, sword, buttons and background are available to theselection you can free choose. The LED light is very bright orflashing, depending on which button you press to turn on yourdouble laser sword and flashlight or flasher. Your LED emits onlylight, no LED laser, it simulates a galactic double laser sword inyour phone and tablet. You like to play the classic sliding game Fifteen, then the MegaSlide Puzzle is just right for you. Tap the respective button whichthey want to move into the gap. Slide 1 to 15 in the correct orderin your best time and with little clicks as possible. The fifteengame is perfect for the little pastime in chic designs.The HighScores for time and clicks are stored. You have a share option foryour best time and a sound plays for your new record! Laser Sword Flashlight simulated vibration, light and sound effectsfor reality and lights on your LED Flash. Play with your coloredlightsaber like a true Jedi warrior and lights on with theflashlight against the darkness of the universe, if you have a LEDlaser sword in your phone or tablet.- lots of color lasers, swords,stars, buttons, lights and backgrounds make for himself- sound andvibration like a real lighstaber be activated- use like aflashlight widget with start light function by app launch- shake toswitch the LED light with sound effects like a fantasy laser swordbattle- very fast, bright and long lasting LED flashlight- flashermode integrated to the flashlight - great galactic simulatedLightsabersThis is not a true laser of LED light, only a LaserSword Simulation! Choose different colors and buttons to switch the fast flashlightbutton on and off. The flashlight app is very bright and fast,perfect against the darkness. Easy to use, long lasting LED lightand a beautiful flashlight app for your device equipped with manyfunctions: 21 flashlight buttons selectable, 7 SOS alarm flashingbuttons, 18 background colors, LED light starts by app launch,flashlight on and off sound and button vibration selectable. Lightup with easy and fast LED Flashlight button! TORCH - simple flashlight.Free. No ads. Efficient. 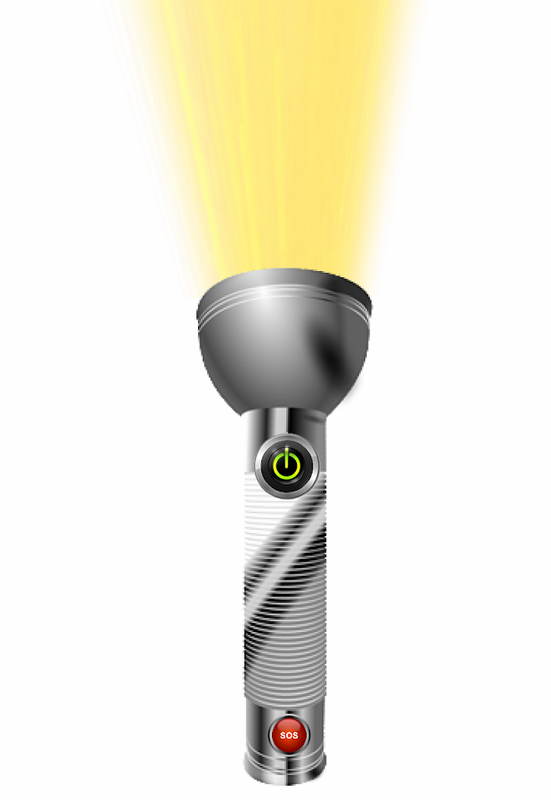 Super bright flashlight!Features: ●Super Bright●Very Easy toUse●SOS Morse CodeDownload now! It's time to take control of your phone notifications! Flash AlertsLED lets you manage and customize blinking flash light alerts soyou never miss a phone call, text (SMS), app notifications oralarm. When it's dark or your phone's on silent, you'll still knowwho's trying to get in touch with you, all thanks to Flash AlertsLED!Flash light alerts puts the power of blinking flashcustomization for your android phone at your fingertips. Createunique blink patterns for incoming phone calls, texts (SMS), andapp notifications. For example use flash alerts for allnotifications including email, social networking, and messengerapps. Plus use flashlight LED alert on call and sms when you're ina meeting or if your baby is asleep. You never know when silentblinking flashes could come in handy.You can even create customlight blinks for individual contacts, letting you know who'scalling without turning on your screen!Features: • Set the LED toflash on incoming calls.• Create a custom blinking light forincoming SMS messages.• Set blinking LED lights to help find yourphone in the dark.Use LED Light Controller When:• You have to keepyour phone on silent but you still need to know who's texting(movie theatres, plays, baby sleeping, etc. )• You need to identifya caller but can't turn your phone on (in a conference or meeting)• You're in a noisy location and can't hear your ringtone (coffeeshops, parties)More LED Light Controller Features:• Set individualblink patterns for calls, SMS, and notifications.• Set continuousflashes or number of blinks per alert.• Change the speed of lightflashes.• Instant "flash off" control using the power button.•Share flash patterns with friends and family.• Disable flashes whenbattery is below a set percentage.• DND mode to hide LED flashesduring specified times* Best Flashlight - Brightest Flashlightstronger than normal flashlight & torch light. 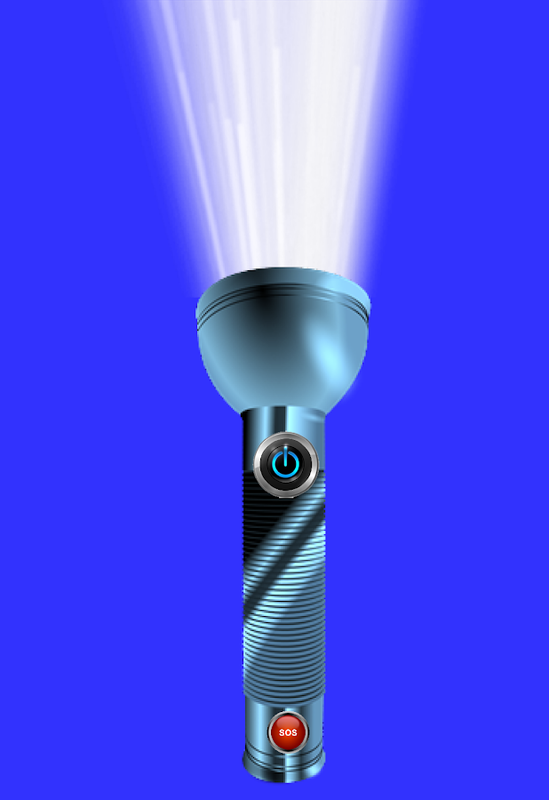 * Free Flashlight- Powerful flashlight app for Android, trusted by over 500m users. *Brightest Flashlight - Instantly turn your device into thebrightest led flashlight. * Easy-To-Use - Flashlight app with FastStartup and Smooth Operation. * LED Flashlight - Switch On/Off thepower light just like using a real handy torch light. * Flash Light- Amazing blinking LED Flashlight for your phone! Frequencyadjustable. * Stunning Graphics - Beautiful Interface and CleanLayout make the operation simple and fast! 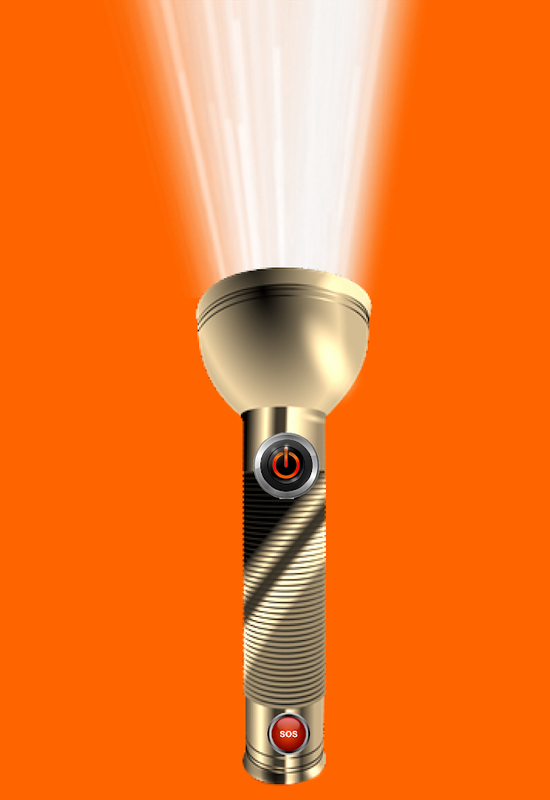 * Strobe Flashlight - 9Different Strobe/Blinking Mode supported, like militaryflashlight.The flashlight alert app is fully optimized for tabletsthat utilize a sim card. Thank you for using the brightest and bestLED Flash Alerts for your phone & tablets, and we hope youthink this is truly the best app in the market. Please let us knowhow we can continue to improve the free flash alerts LED app bycontacting us or reviewing! 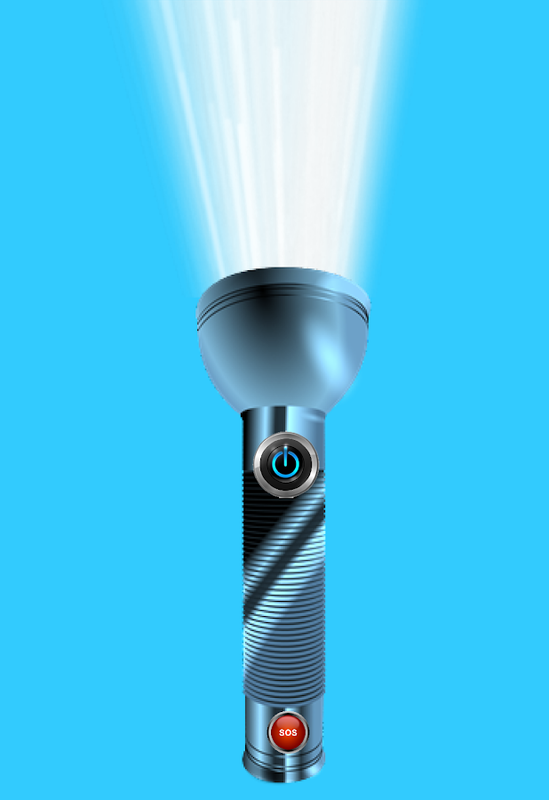 Brightest LED Flashlight, super bright LED Flashlight!Thefastestest, brightest flashlight, the app instantly turns yourdevice into a bright flashlight. The lighting tool takes fulladvantage of the LED light . Blinking Mode is alsoThe app isdesigned to support all android devices and really easy to use thecamera flash and LED. LED Flashlight likes a mobile torch. With thefree app, you'll be able to add brightness to any situation! Mainfeatures include:- The brightest flashlight.- Fastest startupflashlight.- Built-in SOS signal .- Switch On/Off the light justlike using a real flashlight.- Strobe mode with sensitive frequencycontroller.- Beautiful design.- Use the cam light.- Light yourtorch- Light your flashIt is a free app that gives you a freebright light at night with the brightest flashlight.I'm sure that,it's one of the best free LED flashlight apps ever!Let's get yourLED Flashlight right now! - The simplest flashlight app - Most Powerful LED Light - The mostconvenient widget ※ This app is safe and secure because you do nothave access to personal information. ※ Using the icons created onthe desktop > Add widget, click the icon that created the iconto make it easier to access the flashlight feature. Super-bright, handy and the brightest flashlight with color callscreen! Don't miss important calls with shining call screen. Superconvenient when you need extra light in the dark! This torch is thebrightest flashlight and has the amazing 🔥 call screen themes! 🔥 ★Flashlight Features: - Stylish screen flash for your incomingcalls. - Easy-to-use operation and clear design. - Switch on/offthe brightest flashlight like a real torch. - Best flashlight onlyaccesses camera flash light. - Simple flash light & fast LEDlight. ★ Flashlight Highlights: Call Screen Flash Plenty of callscreen themes and LED flashlight alert make your phone shining andcool. 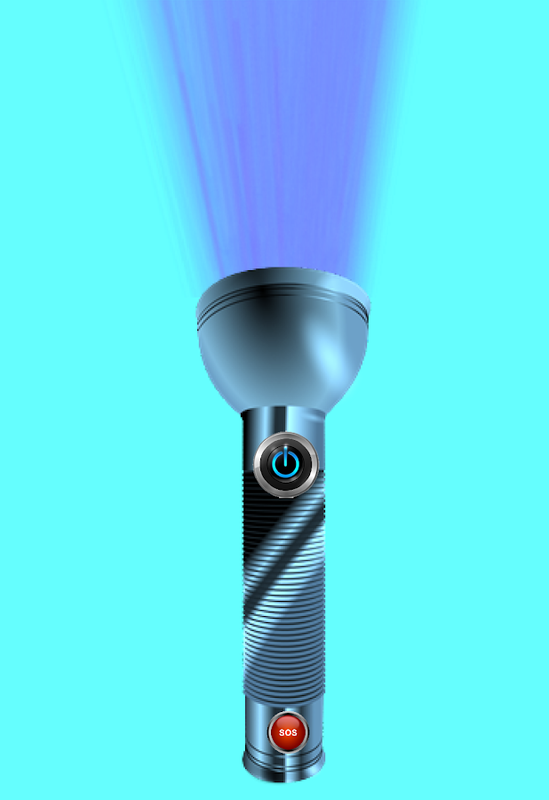 The brightest flashlight and amazing incoming call screen,all in this one app. Download for free now! Handy Flashlight Powerflashlight app comes in really handy when the power goes out. Thebrightest LED flashlight can brighten up your darkness instantly.Super bright flashlight just like a regular torch light, simpleflashlight and tiny flash light! LED Flashlight LED flashlight canlight up the dark by turning your phone into the bright led light.Bright flashlight always available in any situation when you needsome extra light. Flashlight Widget Flashlight widget can be addedon your home screen. With the convenient flashlight widget, you canturn on/off the bright led light easily by pressing the buttonwithout entering the flashlight app interface. Security FlashlightSecurity LED flashlight accesses the camera LED flash only forbright flashlight without unnecessary permissions & personalinformation and data collections. ★ With Flashlight, you can do: +Best flashlight lights up your night when power outage. + Find yourkeys in the dark. + Read a book at night with powerful and brightflashlight. + Not missing Important calls. + Take your puppy outfor a walk at night. + Save yourself when in emergency with thestrobe light. + Flashlight free lights the way at night. + Changethe bubble or repair car at night. Flashlight is the best led lightin the world with cool call screen flash. Don’t miss the BEST powerlight widget for Android! Download this flashlight free now! Pleasenote that Brightest Flashlight - LED Light uses followingpermissions 1.Read contacts - only used to show contacts in screenflash; 2.Directly call phone numbers- only used for call assistantfeature to call back. 3.Read phone status - only used for callflash feature to know your phone status and show screen flashprecisely. 4.Camera - only used to turn ON/OFF your device's cameraflashlight.